While writing this, I contemplated titling it, “The Deregulation of Positioning.” As you can see, I changed my mind. I don’t want it to sound like a literal judicial repealing of laws. It’s still, however, something that clearly has occurred and will transform our work and enhance the capabilities of GIS. No longer is high accuracy a luxury that only cash-rich business sectors can afford (utilities, for example). Now, everyone has access to highly accurate GPS tools and workflows without any middlemen or middleware. First, a long list of technological standards have been adopted and institutionalized in a relatively short time—Bluetooth, REST, NTRIP (don’t worry if you haven’t heard of this one), NEMA, 3G, LTE, Wi-Fi, USB, and many more. It’s a long list, and we use them every day without thinking about them. That’s what makes a good standard. It just works. Second, in 2000, President Clinton intentionally turned off selective availability, making GPS signals accessible to the public. Designed to make GPS more responsive to civil and commercial users, Clinton’s executive decision immediately improved GPS accuracy for the entire world and opened up a market for lower-cost GPS devices and solutions. As a result, GPS manufacturers expanded by building and selling GPS components (e.g., modules or chipsets) not just end-user devices. This created competition for components that could be embedded into all kinds of solutions in a multitude of areas, such as precision agriculture, logistics, and machine control. It also allowed entrepreneurs to apply GPS in innovative ways, such as installing it in appliances in foreclosed homes to track theft, embedding it in gadgets to find lost keys, and enabling it on the now-ubiquitous smartphones and tablets for location services. Fast-forward to today. 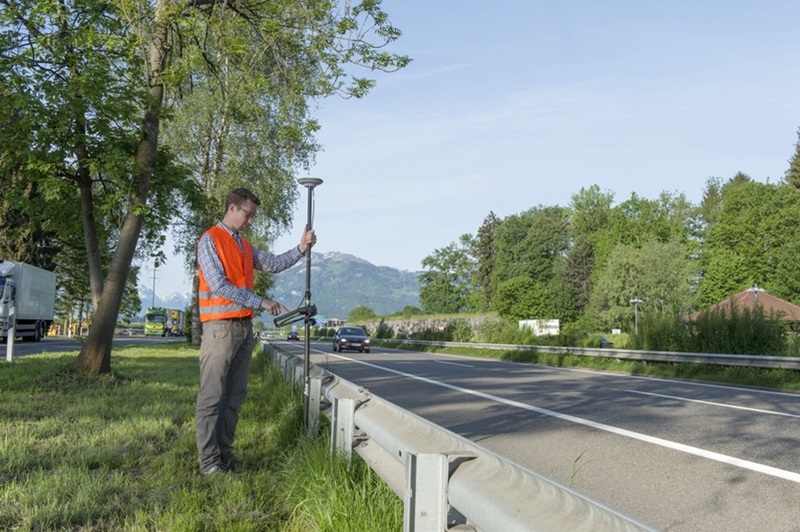 We now have highly accurate stand-alone GPS devices, such as the one-meter Bad-Elf GNSS Surveyor, the submeter Trimble Navigation R1, the Spectra Precision Mobile Mapper 300, the Geneq iSXBlue, the single-centimeter Eos Arrow 200, and the super-accurate geodetic Septentrio Altus NR2—and more are coming. These devices don’t come with heavy desktop software to process data; they just produce a highly accurate position that you can use in your own technology or solution. This modularization represents the virtual deregulation of accuracy. Now choose your mobile device: iPhone, iPad, Android phone and tablet, or ruggedized laptop. It really doesn’t matter anymore as long as it has Wi-Fi or Bluetooth capability. Choose your GPS for what accuracy you need (or want—remember that someone once said “accuracy is addictive”). Then choose your GIS (I’m partial to ArcGIS Online, but you can also use Portal for ArcGIS) and download a field app, in this case Collector for ArcGIS or Survey123 for ArcGIS. Configure your system from your desktop and use one of Esri’s excellent basemaps. That’s it. You’re off and running, collecting highly accurate data that goes directly into your system—no middleman, no middleware. There are all kinds of workflows you can configure, such as using a versioned database to quality check the data before sharing it with everyone. It’s that simple. 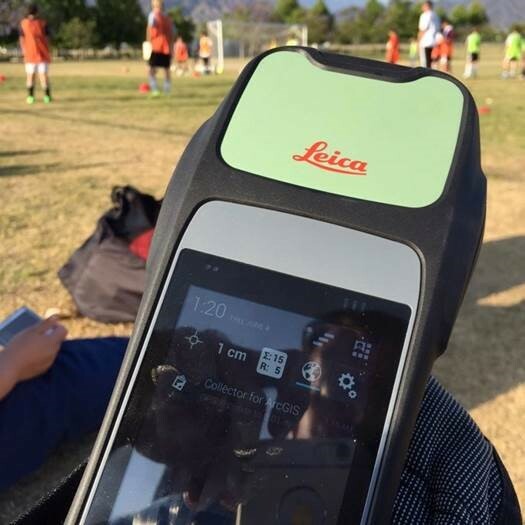 If you want, you can use a device that bundles the GIS with the hardware for you like Esri/Leica’s ZenoCollector, enabling you to access and edit the same data in the field that you have in the office. As a surveyor, I’ve always coveted accuracy, as most surveyors do. It’s in our DNA. It’s cool. As a GIS guy, I’ve always preferred to do all my work in a single system: create and manage data, perform unique analysis identify patterns, make maps, and publish and share outcomes. Thanks to high-accuracy positioning and its direct relationship to GIS, now we have the best of both worlds.